The reality star has been tragically unlucky in love. Khloe Kardashian might have learnt her lesson. 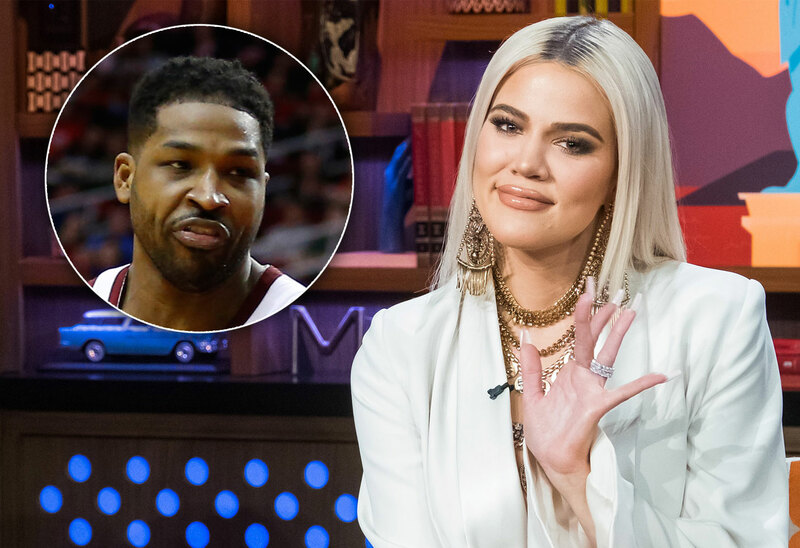 The unlucky-in-love reality star is swearing off dating NBA players for good after her failed relationship with Tristan Thompson. The Cleveland Cavaliers center cheated on her multiple times before they consciously uncoupled in February 2019. Click through the gallery to find out why Khloe is thinking of dating an accountant next time instead. Khloe, 34, was on Jimmy Kimmel Live! on April 1 with sisters Kim and Kourtney. Jimmy went right to the source of Khloe’s latest struggles. “I do want to ask about this character that you had a baby with,” he said, meaning Tristan, 28, and their daughter True, who turns 1 this month. "Is it time to stop dating basketball players?” he asked. The crowd laughed in response to the bold question. She eventually agreed that she needs to date a different kind of man. “I should have listened to my MJ, my grandmother, and start dating like accountants or something like that,” she said. Tristan wasn’t her first failed romance with a basketball star. Khloe married NBA player Lamar Odom in 2009. They divorced in 2013. She also dated James Harden of the Houston Rockets. What do you think of Khloe’s dating choices? Sound off in the comments!